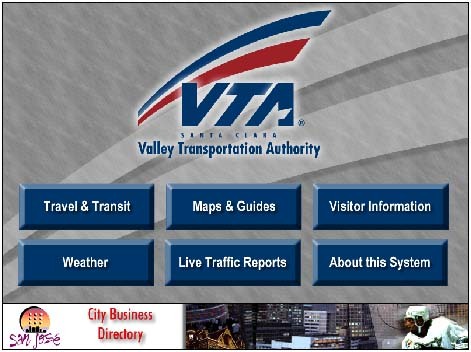 The mission of the Santa Clara Valley Transportation Authority is to provide the public with a safe and efficient countywide transportation system. FutureTouch is responsible for the development and deployment of three kiosks that are located in the VTA office, the San Jose Airport and the San Jose Convention Center. These kiosks provide a unique technology for disabled access that sets a new standard for ADA compliance. Speech technology allows the users to have a complete audio tour of the kiosk. The speech technology actually reads the multimedia content, eliminating the need for narration.